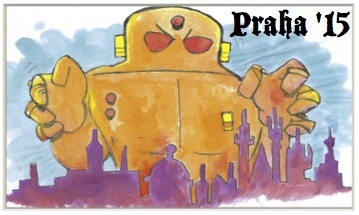 The ECOOP Golem watches over the city. The conference hotel is in the centre of Prague, walking distance of cultural and historical attractions. 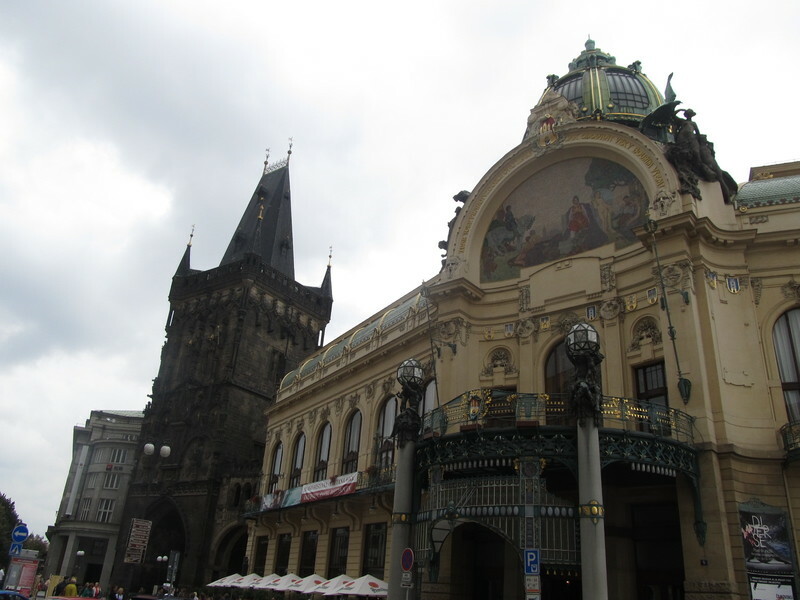 The nearest landmarks are the Municipal House of Prague, the Old Town Square, and the Jewish Quarter. 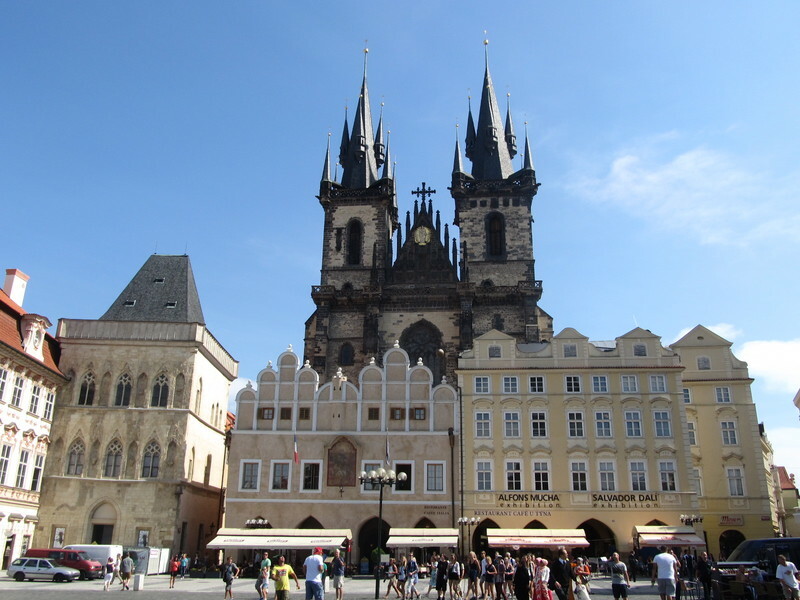 One can also walk to the Charles Bridge and even to the Prague Castle (30 mins) through pedestrian-friendly areas. The Municipal House is 2 minutes from the hotel. It is an interesting Art Nouveau building from the beginning of the 20th century. It hosts concerts, art exhibitions and two restaurants. The Powder Tower is next to it. The tower is one of the gates to the historical city. Kings would pass through it during coronation on their way to the Castle. The coronation way continues through the Old Town Square with historical buildings built in different styles and times: the Gothic Tyn Church, mostly Gothic Old Town City Hall with historic astronomical clock, the Baroque St. Nicholas Church, and other houses in Renaissance and Roccoco style, some built on Roman foundations. 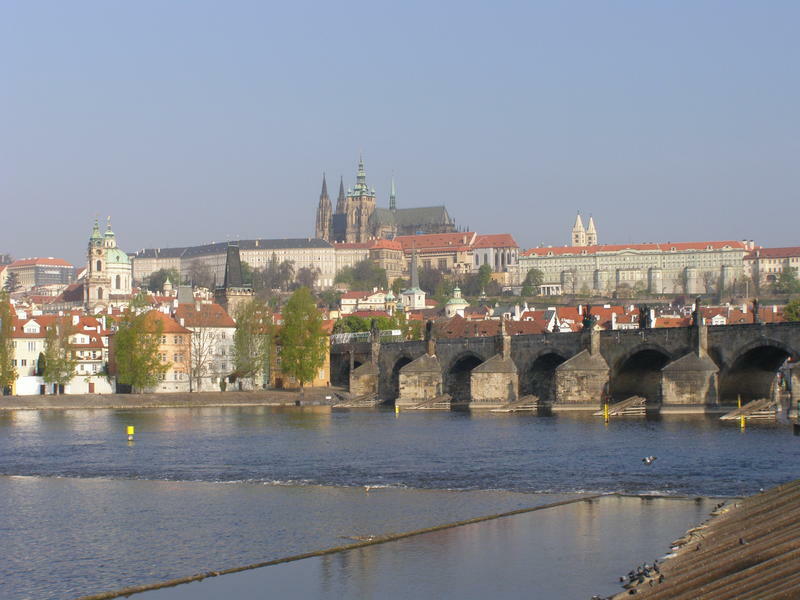 The Charles Bridge connects two parts of the city divided by the Vltava river. It is a pedestrian-only bridge from 14th century, built in the Gothic style and decorated with Baroque statues. The construction was started under auspices of the King Charles IV who also founded Charles University. 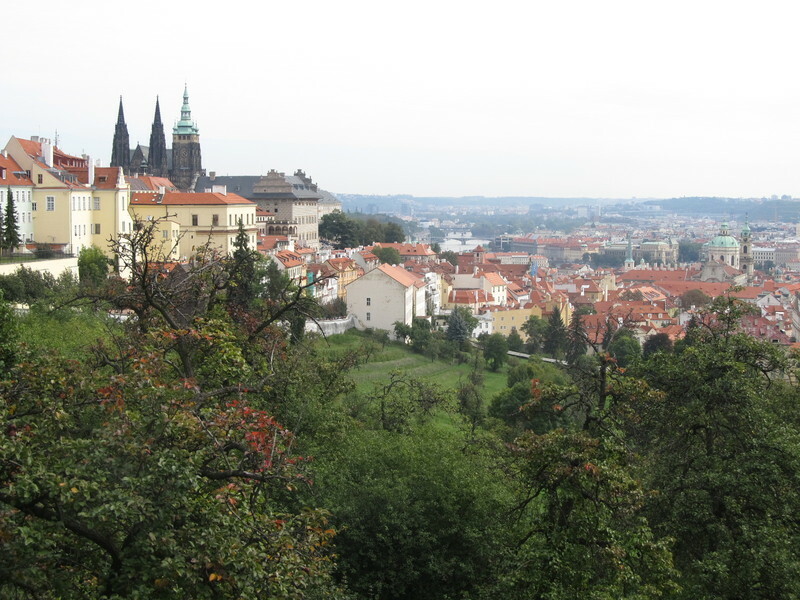 The Prague Castle dates back to the 9th century. The heart of the castle is the Gothic St Vitus Cathedral, but there is also buildings from the Roman, Renaissance, and Baroque times. The castle has large gardens which are particularly nice in the summer. As the castle lies above the city, it offers beautiful views. There are several art galleries located in and next to the castle. The castle now hosts the office of the president. The Czech temperament is joyful and welcoming. So welcoming that, in the twentieth century, the country was annexed by Germany and invaded by the U.S.S.R. Both events leading to general merriment and long vacations abroad. 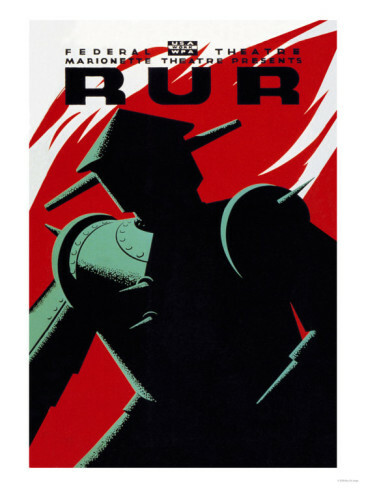 The Czech writer Karel Čapek gave the world the word Robot (from robotnik or "slave”) in his 1920 book titled R.U.R. (Rossumovi univerzální roboti). Čapek was named Czechoslovakia’s “public enemy number two” by the Gestapo. He died of double pneumonia on December 25, 1938 shortly after the country was annexed. Another winning Czech dictionary entry is Defenestration, a unique way of dispatching those in disagreement with one’s view. The first defenestration took place in Prague’s town hall when a Hussite mob reacted to a stone thrown from the town hall by, in turn, throwing the judge, the Bürgermeister, and thirteen members of the town council out of the window. The second Prague defenestration was a minor quibble between Catholics and Protestants. Two Catholic regents along with their secretary where thrown out of a third floor window. The 70 feet drop did not kill them, legend has it they were caught by the Virgin Mary. The secretary was later ennobled by the emperor with the title of Baron von Hohenfall. In March 1948, Jan Masaryk, a non-partisan government minister, was found below the bathroom window of the Ministry of Foreign Affairs. Reported as a suicide by the authorities, Masaryk had the courtesy of closing the window behind him before jumping to his death. Franz Kafka is another light-hearted denizen of Prague, author of The Metamorphosis, The Trial and The Castle, Kafka wrote about alienation, physical and psychological brutality and labyrinths of bureaucracy. 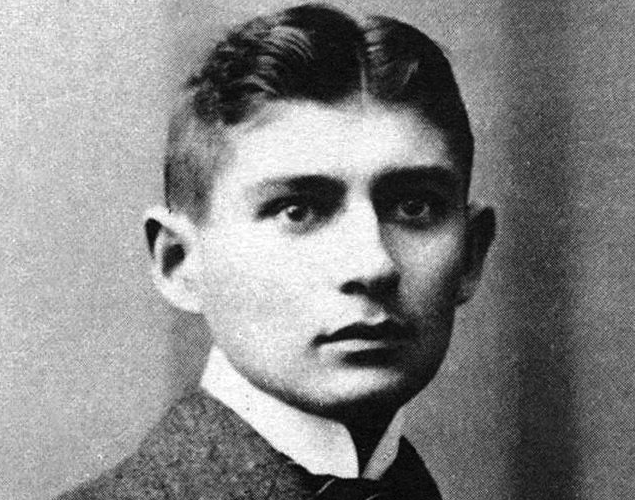 Kafka was filled with a fear of sexual failure and fear that people would find him mentally and physically repulsive. He starved to death as his throat closed to the point that he could take no nourishment. Kafka profoundly influenced another great Czech writer, Milan Kundera. His 1984 The Unbearable Lightness of Being chronicles the fragile nature of an individual’s fate, theorizing that a single lifetime is insignificant in the scope of Nietzsche’s concept of eternal return. A playwright, Václav Havel, became the first president of the Czech Republic’s post-communist area. Havel is known for his Charter 77 manifesto, written in response to the imprisonment of the Czech psychedelic band The Plastic People of the Universe for having long hair and using obscenities. No other figure than the good soldier Švejk fully embodies the Czech spirit. Švejk through possibly-feigned idiocy or incompetence repeatedly manages to frustrate military authority and expose its stupidity in a form of passive resistance: the reader is left unclear, however, as to whether Švejk is genuinely incompetent, or acting quite deliberately with dumb insolence. Readers surely have heard of the most famous Czech scientist, Jára Cimrman, who after a stint with Alan Turing, went to Oslo, in the late 1950s. Cimrman, nearing the end of his life, formed a close friendship with the young Kristen Nygaard and Ole-Johan Dahl. Object-Orientation was conceived by Cimrman, who went on to dismiss his own idea as “unworkable”. He said that a language of objects would be betá (stupid). Czechs have a rich tradition in Film and Photography. Miloš Forman and Jan Svěrák won academy awards with films such as One Flew Over the Cuckoo’s Nest and Kolya. where a wife invites her husband to jump in the dark waters of a river without bottom. Foreigners were quick to recognize Prague’s potential for unbridled fun; after the Velvet Revolution, Prague became a party city. Prague’s dark side is documented in National Geographic’s Scam City; full video is blocked in some countries due to a lawsuit.